The Old Homestead in the Northern Lake District is an award-winning, superbly renovated, traditional Cumbrian long house, full of character, comfort and old-world charm and can sleep up to 25 guests. Situated in its own private one and a half acres of garden there is room aplenty to eat out, play games or just grab a coffee and take in the stunning Lake District views. 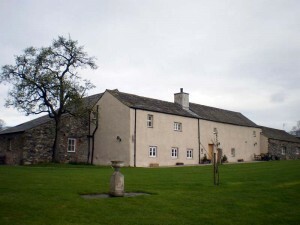 The Old Homestead - Award winning Lake District self-catering accommodation. Sleeps up to 25 people in 10 en-suite rooms. Lorton is made up of two small villages – Low Lorton and High Lorton, both of which are nestled at the northern end of the Vale of Lorton surrounded by the mountains such as Grasmoor, Hopegill Head and Whiteside. Lorton is relatively untouched by tourism, although many tourists pass through on the way to the Buttermere valley. Just a short drive from The Old Homestead is Whinlatter Forest. Whinlatter Forest has several attractions for the visitor. The main visitor centre has a cafe, gift shop and children’s play area and is the home of live camera feeds from the nearby Osprey’s nest (during the nesting season). There are fabulous walking trails, mountain biking galore and, for those with a head for heights, ‘Go Ape’. The lake is not far from The Old Homestead or Cockermouth and is also easily reached from elsewhere in West Cumbria. The Old Homestead is a beautifully positioned, 10 bedroom, self-catering traditional Cumbrian long house located in the Northern Lake District. With ample garden, ample parking and plenty of space for up to 25 guests to holiday in blissful luxury it really is quite unique. The large dining room, lounge and kitchen are all perfectly presented for your enjoyment and comfort. Just a short drive from the amenities of Cockermouth (2 miles) and Keswick (8 miles) the house faces directly towards the Vale of Lorton and to the dividing valleys of Crummock and Loweswater. Apart from the ever popular Buttermere the majority of Lorton Vale escapes the tourist glare and there are many quiet places to get away from everything. Though if it's a little adventure you're after then the Lake District is the place for that. The local Whinlater Forest Centre has some fabulous walks, mountain bike trails, a visitor centre and the tree-top escapades of 'Go Ape'. And if the tree tops don't take you high enough then how about the Via Ferrata at the local slate mine at Honister? So you see, up here in the Northern Lake District you can take it as fast and energetic or as slow and leisurely as you choose and still have the comfort of The Old Homestead to return to for a fantastic family and friends get together followed by a good night's sleep.